With an annual turnover of $6 billion, South Korea is becoming a major player in thoroughbred horse racing. The Korea Racing Authority (KRA) have a plan to turn the Korea Cup and Korea Sprint from international grade three races to grade one races. Internationalization is already happening, with Korean horses taking part in races abroad. But internationalization of Korean horse racing is not all the KRA aspires to achieve; they also want to change the perception of horse racing in general, from a means of gambling to a sport in itself. The pursuit of a new, younger, more gender-neutral fan base is also taking place, with horse racing’s equivalent to K-pop being laid out in the form of virtual reality theme parks and light shows at the two main racecourses in South Korea. 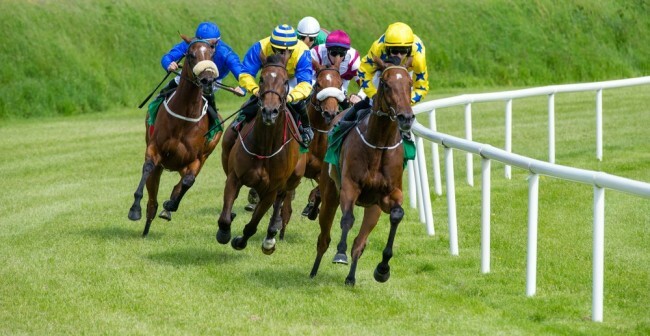 ● Horse racing first emerged in South Korea in 1898, but it was not until the 1920’s that horse racing as we know it today made an appearance, with bets being placed on race outcomes. ● From 1910-1945 Korea was under Japanese rule. During this time, Chosun Racing Club opened in 1922, as the first official racing club in Korea. ● Later on, in 1933, the Chosun Horse Racing Authority was created to help regulate horse racing in Korea. ● Hialeah Racecourse was the first racing track in Korea and was opened in 1933 in Busan. It is believed that an American sailor named the track after the prominent Hialeah Racecourse in Florida. The racecourse is no longer in use and the area is now known as Busan Citizens Park. ● In 1945, the Chosun Horse Affairs Authority was reopened as the Korea Racing Authority. ● The 1950 Korean war meant that the development of horse racing in Korea was stunted. The war lasted for three years, and during this time race courses were used for military training. ● In 1984, bets stopped being tallied manually and a computerized system was introduced. ● The 1988 Summer Olympics was held in Seoul, South Korea. To make the most of the new infrastructure, the Olympic Equestrian Park became Seoul Race Park. ● In October 1990, JeJu Racecourse opened on Jeju Island as a pony racing venue. ● In 2004, the KRA introduced its own specialised grading system for thoroughbred horse racing.These ratings are used domestically and are not internationally recognised. ● The newest racecourse in Korea, Busan Gyeongnam Racecourse Park, was opened in 2005. ● The betting turnover for horse racing in Korea is the third largest in Asia, with Japan in first place and then Hong Kong. ● Horse racing in Korea is managed by the Korea Racing Authority (KRA), whose mission is to help people make good use of their leisure time and to develop the Korean horse race industry. ● The horses which race on Korea’s two main tracks are a mixture of Korean-bred and foreign-bred horses. Ninety percent of the foreign-bred horses are imported from the USA. ● January 2017 was significant, as Main Stay, a Korean-born and bred horse, won the Dubai World Cup Carnival – a world-class thoroughbred race. ● Famous South Korean racehorses include J.S. Hold, retired in 2008, who was winner of the Korean Triple Crown in 2007, holds a record nine wins from 10 races and is lovingly thought of by many as the best Korean-bred horse in history. ● Another top Korean racehorse is Myeongmun Gamun, retired in 2009, who held a record 17 wins from 34 races and won the President’s Cup in both 2007 and 2008. The KRA wants to entice a new audience and get rid of the male-dominated stereotype that prevails in thoroughbred racing. In true Korean style, the KPA have adopted an out-there approach to doing this, which might be viewed by traditional fans as whacky. Whinny World, a virtual reality theme park, opened its doors in 2016, and takes pride of place in the centre of the Seoul racecourse. With regular K-pop acts performing, racing simulation machines and ice skating rinks, it’s attracting an audience that definitely wouldn’t usually be drawn to horse racing. 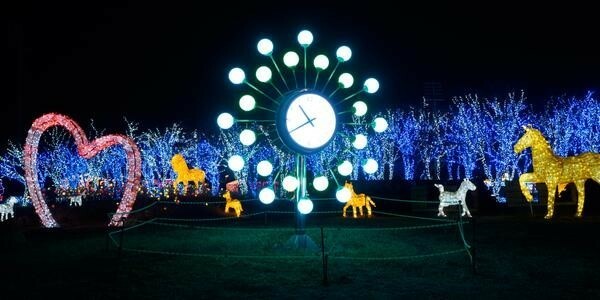 The Busan racecourse also has its own Theme Park of Light, located within the same complex. Visitors to the racecourse can board an electric tram for a tour, feed the animals or have a go on theme park rides. 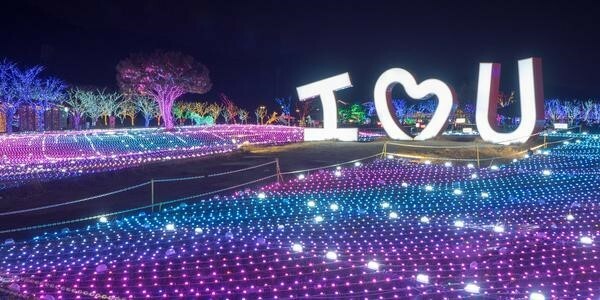 The entire park becomes illuminated at night with a series of large-scale light installations. KRA holds exclusive rights over horse betting and wagering in Korea. Private betting operators are not legal in Korea, and only the betting slips made by the KRA can be used. The KRA has a pari-mutuel betting system which includes six types of bet – win, place, quinella, exacta, quinella place and trio. The minimum accepted bet is 100 Korean won, and the maximum that can be put down in a single bet is 100,000 Korean won. There are two thoroughbred racecourses in Korea, located in Seoul and Busan. Korean native pony races also take place at the Jeju Race Park, on Jeju Island. Races at Seoul take place every Friday and Saturday, with an average of 11-12 races each race day. 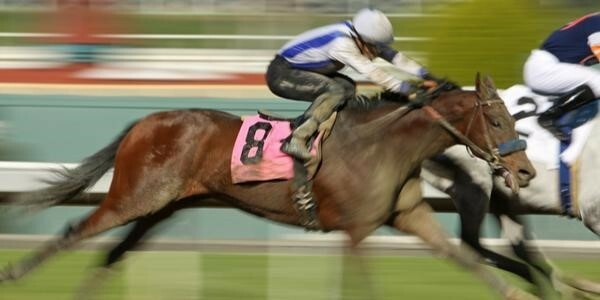 Races at Busan take place every Thursday and Saturday with an average of 10 races on Thursday and six on Saturdays. Races at Seoul and Busan take place at set times, so that they do not clash with each other. In addition to this, all the races at Seoul and Busan are simulcast to the other track. View layouts of the Seoul and Busan racetrack and racetrack details here. You can watch Korean horse racing live on Sky Racing World, the premier online source for live video broadcasts and horse racing picks from the Southern Hemisphere's leading horse racing markets. You can view the 2017 racing schedule for Seoul Racecourse Park, Juju Racecourse Park and Busan Racecourse Park here.